SEO, or search engine optimization is a means of structuring your web page in a way that maximizes your search engine ranking. The higher your search engine ranking, the closer to the top of a search result for a specific keyword your site will appear. For example, if you search for “happiness,” the site with the highest ranking (on that keyword) will appear at the top of the results list. And while SEO is critical for websites, book need something extra. Your book is not a website. If parts of your book are available online, then your book is also a website, but it is not just a website. For this exact reason, your book needs SEO and the right metadata (title, description, etc.) in order to be discoverable. Unless your book is a huge success, the big search engines (Google, Bing, Amazon [where people search for products], etc) will likely not rank your book anywhere near the top of its results users search for works in your title. In the case of Amazon, the site will display your book and at least 9 others on any given search page. Using common words like “happiness” in your title will increase the number of times your title appears in search results. 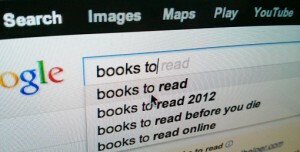 However, it also means your book will face greater competition in those search results. 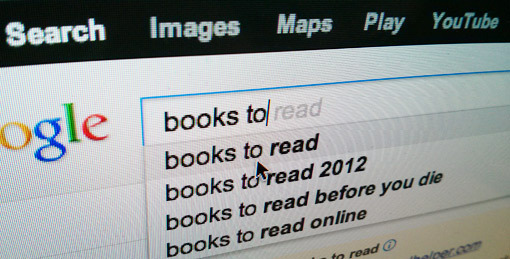 Before naming a book, search for that title on Amazon and Google to scope out the competition. So the solution is to have a unique title, right? Somewhat. Having a hard-to-spell word in your title may simply result in the user failing to find your book. While Google will auto-suggest (or auto-correct) certain misspelled words, it won’t work on all, and Amazon does this less. Four is too much. If you’re only going to write one description for a book, write a long one. Longer than a standard jacket description. A reader who wants more information will read the description if it is there. Where one is good, two is better. Your second description, or “short description” should be 100 words or less. It is there to grab attention and for a person who is not yet interested in your book. When submitting to a site like Amazon that doesn’t allow for both descriptions, put the short above the long. Your third description should be your Twitter description — 140 characters or less. This is meant to be shared and to grab the attention of potential readers. It should answer the important questions: what genre, what topic, what author. Keywords are your wishlist for your top search terms. While there is no correct number of keywords, there should be at least 5 and less than 20. More and more platforms are using keywords as the core of their search functionality, and keywords are extremely useful for SEO. Social meta tags: The web is now social. While not fully accepted, schema.org has the best social metadata tags. If you wish to put in more effort into implementation, you can use social tags specific to Facebook (Open Graph Protocol) and Twitter (Twitter Cards), or other service-specific tags. There tends to be quite a bit of overlap, but you’ll want to make sure that you note any specific requirements such as required file formats for an image, or string formatting (UTF-8 should be OK, but if you’re using a more complex encoding, you may need to ensure your data is compatible). Building a sitemap: Unless the content you want discovered is heavily linked by external sites as well as your site, you will want to create a sitemap. A sitemap lists all the pages that you want search engines to index and allows you to specify certain things, such as how often a search engine should update its listing for that page. You can get more information at Google’s Sitemap Help. A sitemap will greatly increase how fast new content will be indexed and gives you a chance to provide additional information that is search-engine specific. Being findable doesn’t mean you will get found, but if your content is not discoverable, you have no chance. It is also important to remember that things like Facebook, Foogle, Amazon, and others want data. If you don’t provide it, they will use their algorithms to pull what they can. By providing the data yourself, you ensure that what is shown and shared contains the right information and message.